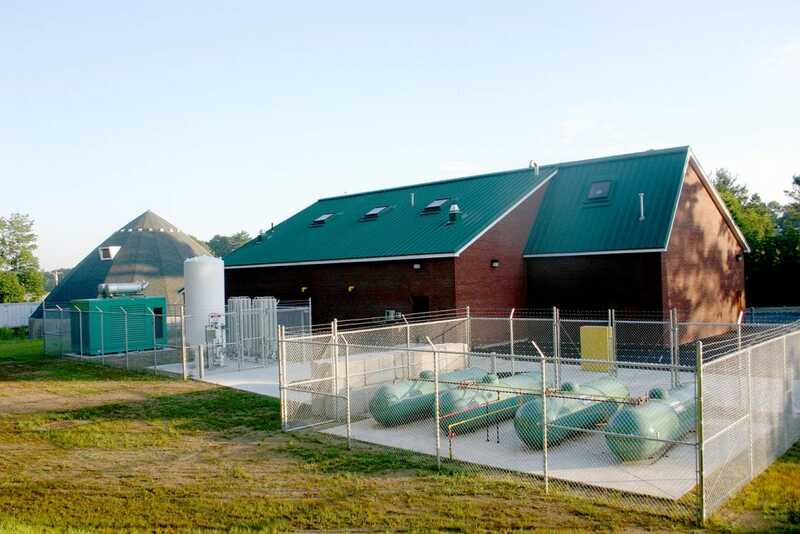 Tata & Howard provided design and construction services for a new water treatment facility that houses a 1.2 mgd ultrafiltration system and completed a pilot test that consisted of an evaluation of two separate ultrafiltration technologies. Franklin Wells No. 1 and 2, located off Hayward Street in Franklin, Massachusetts were installed in the 1940’s with a combined safe yield of 1.2 million gallons per day. Due to high concentrations of iron and manganese in the groundwater, the wells were only used to meet peak water demands during the summer months. The construction of the water treatment facility recaptures the yield from these two sources. 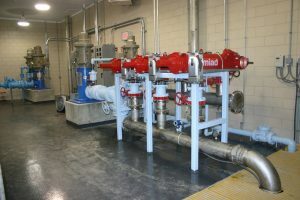 The water treatment facility consists of a main building which houses static mixers, ozone feed equipment, chemical feed equipment, prefilters, membrane filtration equipment, instrumentation and controls. Treatment consists of ozone oxidation followed by membrane ultrafiltration. The project was funded in part by the Massachusetts Water Pollution Abatement Trust through a low interest state revolving fund loan. 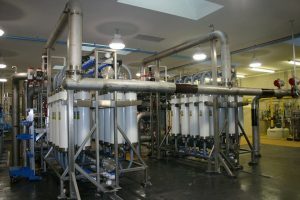 The overall treatment scheme is as follows: ozone injection, oxidation of iron and manganese in an ozone contact tank, prefiltration, treatment through two ultrafiltration membrane skids, chlorination prior to a clearwell, and fluoride addition prior to discharge into the distribution system. The plant is designed to recycle backwash water and membrane recirculation water to the head of the plant utilizing two decant tanks. Ozone is produced on site utilizing compressed air, while a LOX tank is available to allow for the production of additional ozone if required in the future.